The Motorola Motoluxe is one of those devices that has survived the passage of time. If you have one it might be time to do a hard reset to restore its initial agility. Or it may be that you forgot your pattern lock and need to unlock Android. There are two methods for doing a hard reset on Motorola Motoluxe. One of them is to be used when we have no access to the Android operating system and settings, and the second will be through the phone menu. 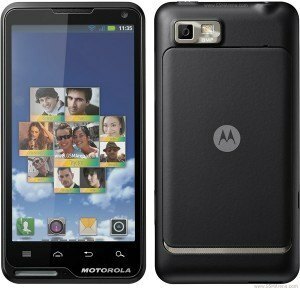 Attention, this process will erase all data, settings and customize your Motorola Motoluxe device beyond repair. If you have sensitive data or information that you want to backup, please do so before starting the process. There are several good tools in Google Play that you can use. Press both volume keys and keep them pressed together with the power button for at least 5 seconds until the device display the Motorola logo first, and then the Android logo. When this happens press the start button and the device will show Recovery options. Using the volume buttons select the option “Wipe data / Factory Reset” and then select “Yes – Delete All User Data” to confirm the action. This method involves using the Restore option which is available in Settings> Privacy> Factory data reset> (We press delete internal storage)> This will reset phone, Wait for it to perform the process. This method will keep the original factory settings. If you have any problems going through these steps to reset Motorola Motoluxe, please leave a comment with your problem and we’d be glad to help.